I recently went to Denver to visit a good friend and it was awesome. We went rock climbing and strolling through downtown neighborhoods like Cap Hill. Later, it took us about an hour and half to get to the mountains one way. We got up at 5 in the morning to start a hike by 8 so we could finish before the afternoon thunderstorms. The hike was beautiful. We started at a lower level and followed a stream lined with golden aspens and pine. As we climbed higher the aspens thinned out and the evergreens became more dense. In fact, the scenery felt very similar to a Provo fall. And we each commented on how much we love living in the Rockies and in a place where there are seasons. While I was in Denver, I saw that the city itself has a great culture of outdoorsmanship. Even when walking around in the downtown area the predominant culture is outdoorsy. It may help that Denver is the home to REI’s flagship store, but it seems like more than that. My friend, who is single, even said that three quarters of her potential dating pool counts outdoor activity as a dating interest. This seems to be unique to Denver, which seems to draw a large young professional group — including my friend who grew up in southern California as I did — from all over the country because of its outdoor culture. 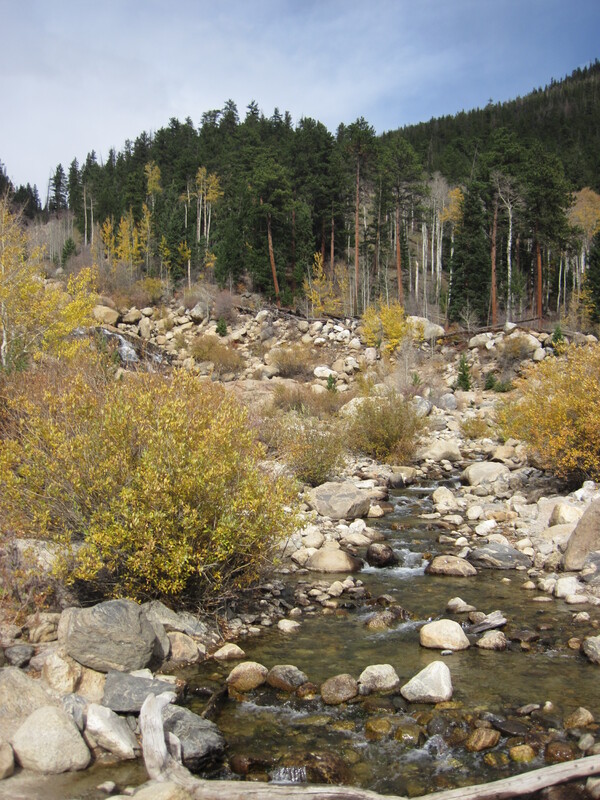 A stream in an alluvial fan in the Rocky Mountains. 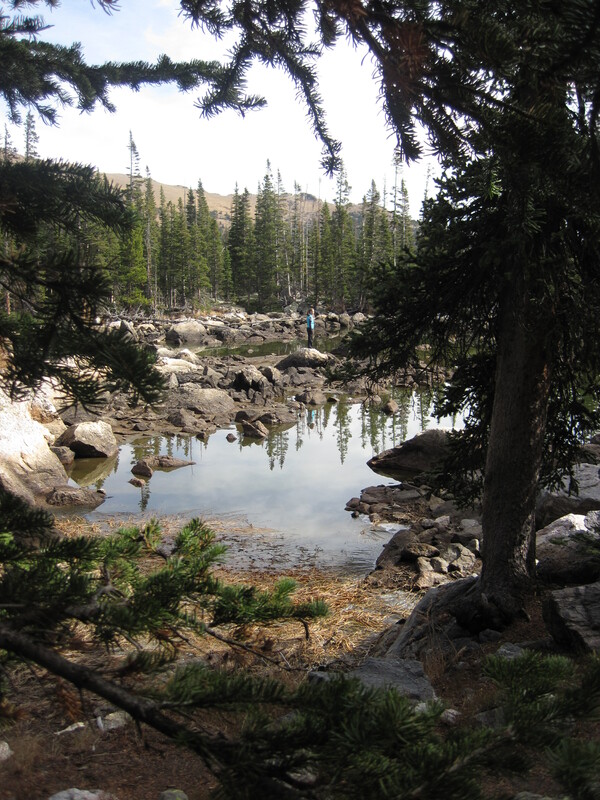 In fact, all of her friends that I met came from all over the US, and a major draw for them was Denver’s mountains. This was my second time visiting, and I loved zipping through the city on the Speer St. bike lane, hiking through the autumnal leaves, and rock climbing above Coors brewery. I loved how there was the sense that every day held an adventure. I think Provo could learn a few lessons from Denver. That city has capitalized on its outdoor recreational activities, which lie predominantly in the Rocky Mountains. And those mountains are at least an hour drive to the west. This same Denver friend visited me in Provo in June and was amazed that it was only a ten minute drive to Stewart Falls, a 45 minute bike ride from my house in downtown to Bridal Veil Falls, and that we could take a quick scooter ride around the Alpine Loop in less time than it takes to get to the mountains in Denver. It stands to reason, then, that it should be even easier for Provo to market itself as a hip outdoorsy place the way that Denver has. Laura Rowley is an artist and art instructor. She teaches at Lone Peak High School and has exhibited work in galleries throughout Utah, including recently at the Springville Museum of Art. And though this is her first guest post, she has read and edited every single previous post on this blog since it began. Many of those posts also started as conversations with Laura. In particular, many of the trails along the Wasatch Front are already seamless and don’t stop at the geographical borders of individual counties. And users need an equally seamless way to access that information, said Scott Hess, a Davis County planner who runs the area’s trail committee. 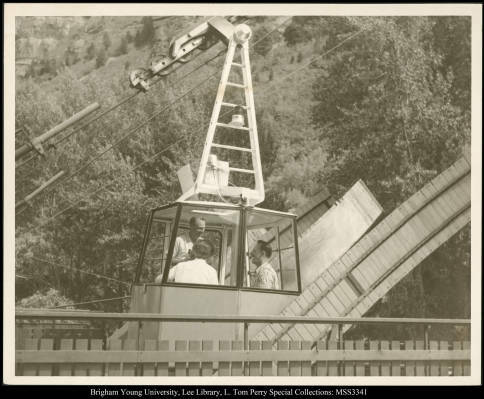 Though the article draws mostly from sources in Davis County, a statewide effort would certainly include Provo and Utah County’s many trails. 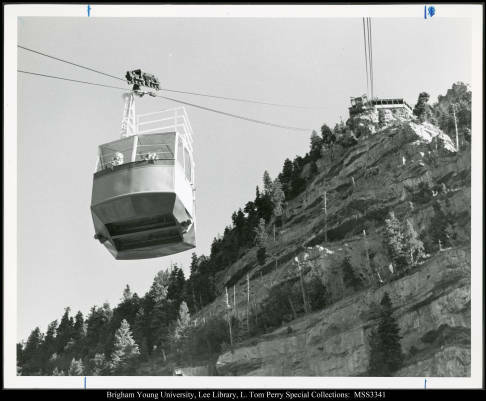 And as I’ve argued repeatedly, Provo’s trails are among the region’s best financial assets; they improve quality of life, offer commuting options, and attract locals and visitors alike. Any resources devoted to those trails would consequently be a reasonable investment in future growth and stability. 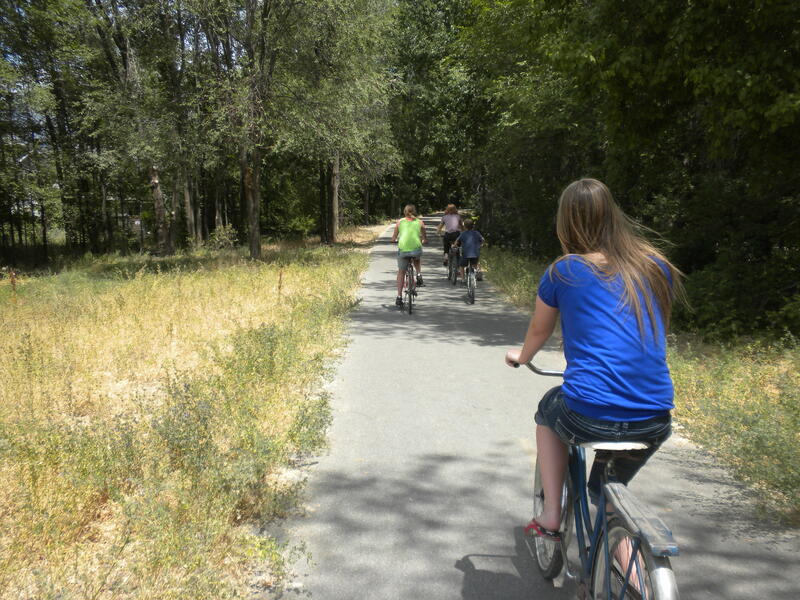 Bicyclists use the Provo River Trail. The state is currently working on a plan to link various trails in Utah. Sunset Magazine recently dubbed the Provo River Trail the fourth best bike path in the entire West. Provo’s trail was only beaten by paths in Redmond Washington, Portland Oregon, and Concord California. Significantly, Provo also beat San Diego, Denver, Boulder, Los Angeles, and a bunch of other cities. That’s remarkable and shows how the Provo River Trail is both a major amenity for residents, as well as a potential financial asset and tourist draw. It also helps explain why sections of the trail should not be shut down for bikes. This is the second appearance Provo has made recently in Sunset, and in both cases magazine editors have picked up on some of the city’s best and most important elements. It really shows how comparatively little things can generate important buzz for a city. It’s also a steady stream of this kind of press that forges a city’s reputation as a great place to live. And finally, my friend Dane deserves credit for bringing this article to my attention and for generally being a champion for biking. “We don’t want to see it shut down but safety and the enjoyment of all the users must be our chief concern,” Sgt. Wayne Keith of the Utah County Sheriff’s Office said. Bike Provo also posted a fantastic follow up to the article here. Safety obviously is important — and I know officials are well-meaning — but closing additional sections of the trail to bikers would be backward and economically detrimental. Most obviously, biking, as an activity, has a significant economic impact because it requires equipment, appeals to the professional class, etc. In Utah County, biking is also more viable than walking as a means of transportation due to the spread out make up of area cities; leaders should consequently be cultivating a culture of biking, rather than trying to sequester it into smaller zones. But more importantly, the county’s argument singles out biking as particularly dangerous while ignoring a vastly more perilous and common activity: driving cars. Driving, after all, kills and maims thousands of people every year. Bike-pedestrian accidents happen and can be tragic, but they’re far, far rarer. The county’s argument consequently treads the familiar path of singling bikes out for especially prejudicial treatment. Consider: when a car hits a pedestrian we often talk about speed limits and stop signs. However I’ve never heard anyone suggest after a car-pedestrian accident that cars should be removed from the road where it occurred. Even suggesting it would seem absurd to many people, and that’s despite the fact that for millennia — including well into the automobile age — streets were the domain of walkers, not cars. But the opposite is happening now with bikes. Why is that? If we were really concerned about safety, the logical thing to do is take cars off the streets anywhere drivers speed, ignore rules, or do wildly dangerous things like text or drink. Soon, of course, that would mean no streets would have cars. 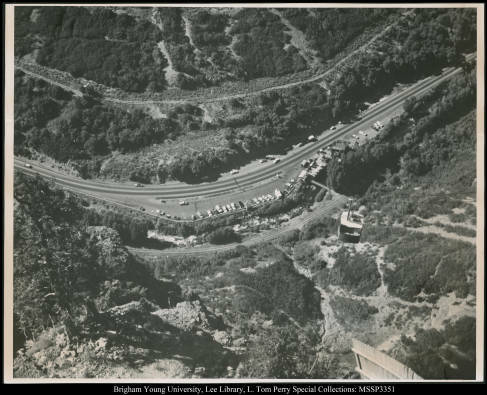 More specifically, if there isn’t room for bikers and pedestrians on the river trail, why not shut down a lane of vehicle traffic in Provo Canyon and devote it to biking. These suggestions are hyperbolical and designed only to prove a point: that county leaders evidently see biking as a kind of secondary activity of lesser importance than other modes of transportation. It’s arbitrarily perceived as dispensable. This is a war on biking, but sadly those attacking bicycles lapse into conventional, car-centric reasoning and don’t even realize that there are alternative — and better — ways to frame the discussion. I’m an avid walker and a casual bike rider. (I drive a car a lot as well, unfortunately.) 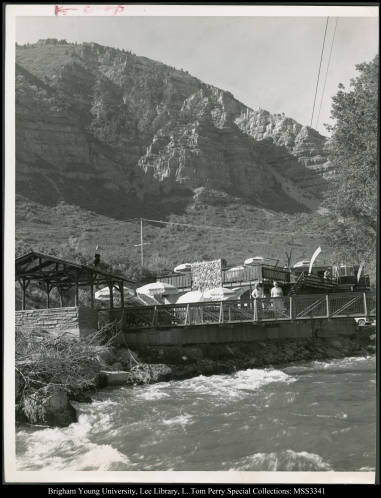 I’ve used the Provo River Trail for both activities in the past, as I plan to do in the future. But this isn’t about a conflict between walking, biking or even driving. Instead, the larger issue is that biking, despite it’s growth and many benefits, is still not taken as seriously as it should be. In the end, there’s no inherent reason biking should play second fiddle to other forms of transportation, including driving. Inspired by the recent rebranding efforts, my last post poses the question “What makes Provo truely unique?” Here are a few answers. 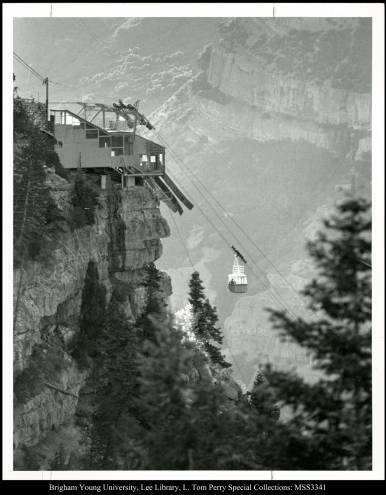 We’ve already made significant strides in this area — from the opt-out recycling program to our green ski resort — and these strides legitimately set Provo apart from its neighbors. Of course, some people hate the “green” movement, but among young, educated professionals it has significant appeal. We’d also need continued progress in this area, but I don’t know why Provo isn’t touting its green progress, which is real. In other words, Provo’s environmental position is a match between a growing asset and a needed and target audience. A second possible city feature to emphasize is Provo’s music scene. I hope it still isn’t coming as a surprise to anyone that Provo has a nationally recognized music scene. Between Velour, The Rooftop Concert Series, Muse Music and other assorted events, Provo has a remarkablely diverse and successful music community — which is, in many ways, better than anywhere in the state. That’s something that shouldn’t be ignored. Austin, Texas, for example, successfully cultivated and marketed its music scene over the course of decades until for my generation it became — along with Portland — what New York was for young creative people in the mid twentieth century. Another major asset that differentiates Provo from other communities is Downtown. Yes, cities like Spanish Fork have old timey downtowns as well, but few places in Utah mix the old and the new the way Provo does. And though some people hate that mixture, it can be a draw for businesses looking for new amenities in a walkable, old-style community. All the many problems in Downtown notwithstanding, the area is still quaint, walkable and efficient. Salt Lake City doesn’t have that, and I think Ogden may be the only major city in Utah that could give Provo a run for its money. There are certainly other aspects of Provo that are unique and deserve to be marketed. But these are the ones that I don’t see in other communities, and which helped persuade me to stay. If future marketing can convince others to do the same, it’ll have succeeded.